Recapitulating the sites within which this study narrates the multiple experiences and histories of a craft this concluding chapter addresses a critical aspect of social science methodology. 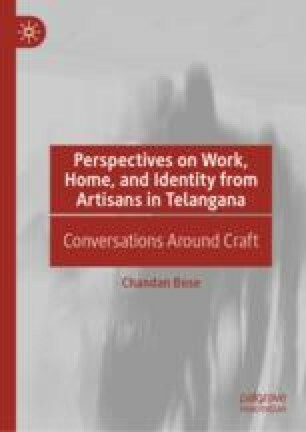 The chapter proposes that an ethnography, which constructs a plurality of contexts across which meaning is produced, warrants that a systematic enquiry into the practice of craft abandon the idea that its object of study has an absolute totality or centre. The chapter also suggests that ethnography does not occupy a privileged position from which the different locations of the practice can be viewed, but rather emerges as one of the very locations within which the experience of craft is constructed, namely through the exercise of writing about the practice.